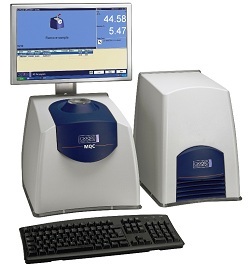 IN RESPONSE to feedback from users, Oxford Instruments has released a new version of its MultiQuant software for the MQC family of benchtop nuclear magnetic resonance (NMR) scanners for quality control applications. MultiQuant 6.1 makes the instrument more straightforward to use, through for example the autotare balance option. This can be a bonus in the measurement of oil and moisture in seeds, as the operator no longer needs to set the tare but simply places the sample tube in the instrument, and measurement starts automatically. With some operators routinely having to make over a hundred measurements a day, this can significantly boost productivity. All measurements are carried out at an instrument temperature of 40C, and the software will automatically give a clear and immediate warning of any variation from the set point temperature. Quality control applications often call for batch analyses, requiring a number of samples to be consecutively measured. MultiQuant allows sample identification information to be added manually from a list, or by copying a complete list from the computer clipboard. It is just as simple to process results, says Oxford Instruments, which can be pasted directly from the log file into Excel or Open Office. This may be particularly helpful for users who produce their reports without going through a laboratory information management system (Lims).